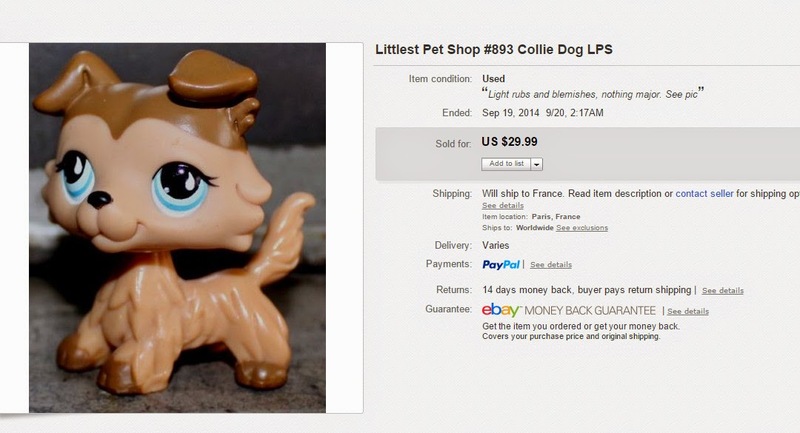 Just a couple of my recent Littlest Petshop sales on eBay. This is only a small fraction of what I sold, but you'll soon understand why the LPS dogs are what I am targeting at yard sales. Especially dachshund, collies and Great Danes. By the way they are not the only expensive ones, but if you are just starting sourcing them and have problems memorizing stuff, at least remember these 3 petshop dog breeds. I paid less than 1$ each. All were in good pre-owned condition with no stains (such as sharpie/marker on them) and no rust bleeding from their neck. 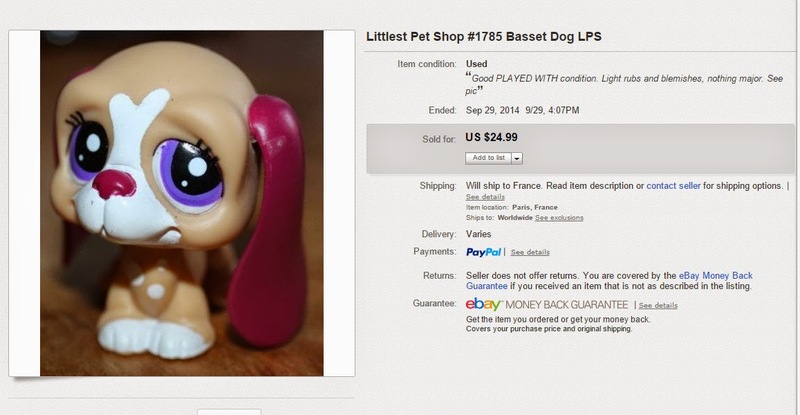 By the way, littlest pet shops are prone to rust; inside their head is a little metallic piece that makes the bubblehead system. And kids like to clean and bath their petshop and if not done correctly you end up with rust all over the pets. They are easy to list and easy to pack for shipping. Got to love them!